Diathermy is a therapeutic treatment most commonly prescribed for joint conditions such as rheumatoid arthritis and osteoarthritis. 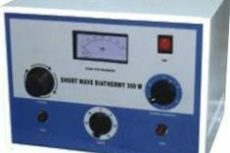 In diathermy, a high-frequency electric current is delivered via shortwave to generate deep heat in body tissues. The heat can be used to increase blood flow or to relieve pain. Diathermy also can be used as a surgical tool to seal off blood vessels or destroy abnormal cells. 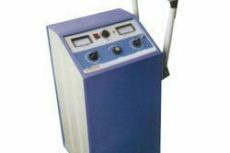 The diathermy machine does not apply heat directly to the body. Instead, the current from the machine allows the body to generate heat from within the targeted tissue. As the heat increases, it promotes blood flow. It also can help improve flexibility in stiff joints and connective tissue.